This title is called Make My Day: Amsterdam in North & South America and you can buy it here. Both editions contain the same great content. Hardback. 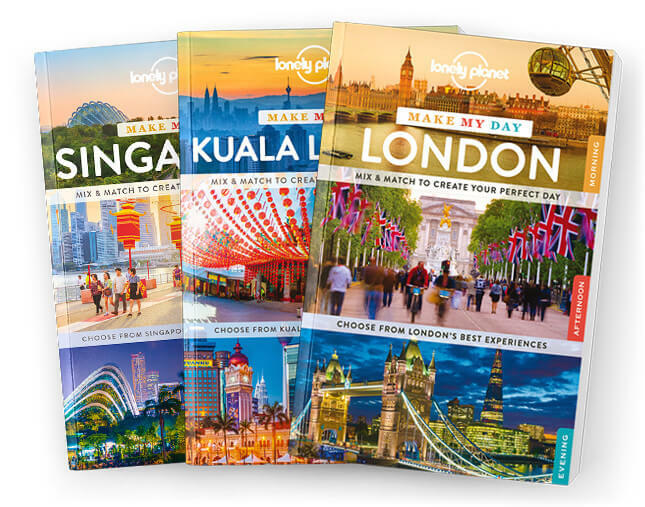 Lonely Planet's Make My Day Amsterdam is a unique guide that allows you to effortlessly plan your perfect day. Flip through the sections and mix and match your itinerary for morning, afternoon and evening. Start the day with a visit to the Rijksmuseum, spend the afternoon in Vondelpark and then enjoy the evening on Reguliersgracht, the canal of seven bridges; all with your trusted travel companion. Planning your city adventure has never been so easy and fun.